Six new note themes for Mail.app. Is there a better alternative to Notes 2 Stationery Pack for Mail? Is Notes 2 Stationery Pack for Mail really the best app in Email category? Will Notes 2 Stationery Pack for Mail work good on macOS 10.13.4? Notes 2 is a full new stationery pack for Apple Mail software. 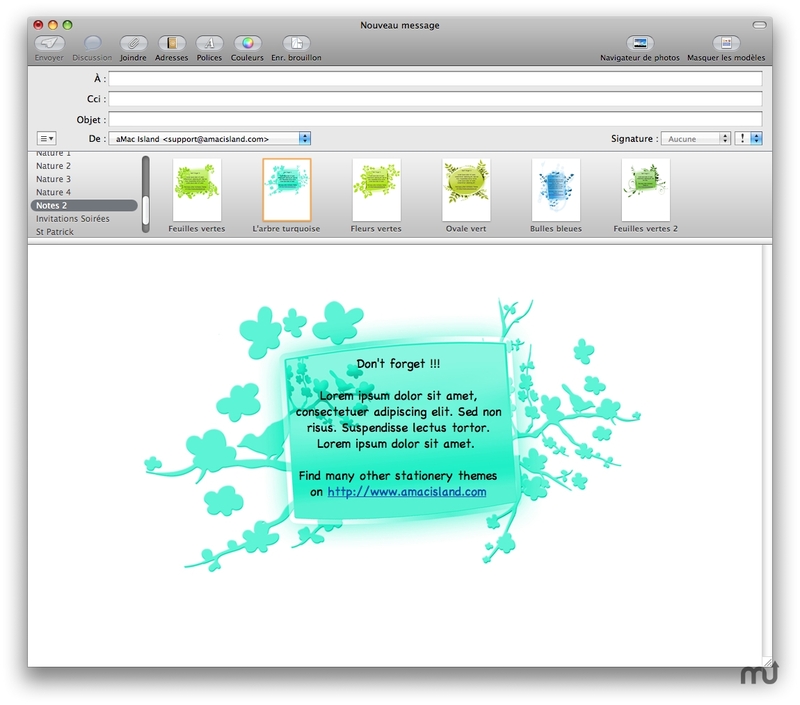 Specially designed for short messages, this pack allows you to make your e-mail more fun! Notes 2 Stationery Pack for Mail needs a rating. Be the first to rate this app and get the discussion started!